3321 Aikens Road Savannah, NY. 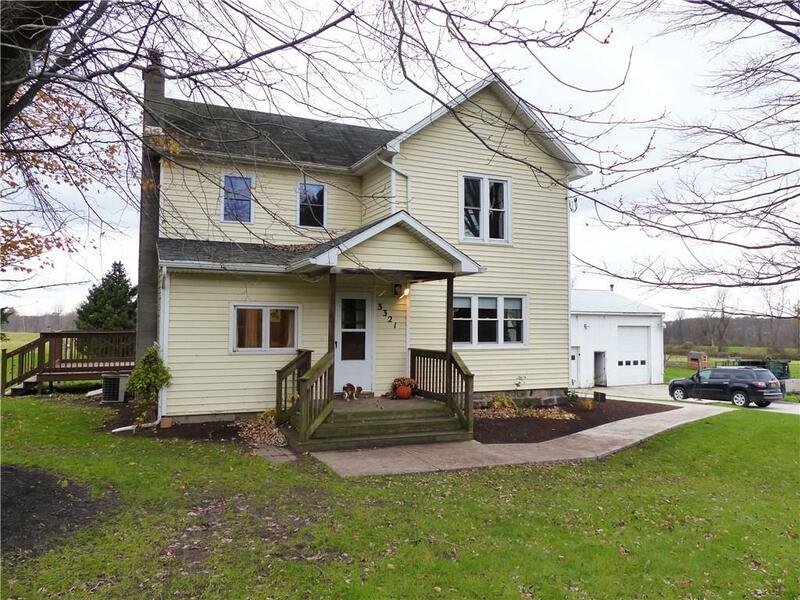 | MLS# R1159654 | Largest Real Estate Sales and Property Management Company in The Finger Lakes and WNY. This charming & bright 4 bed/1 bath farmhouse sits on over 27 acres with a 3 car/bay barn/shop & separate garage/shed. When you walk in the front door from the front porch you enter a large foyer/possible office/study. You continue into the large dining room which also hosts a wood burning stove. To the right is a living room, full bathroom and 1st floor bedroom. Past the dining room is the kitchen which overlooks the property. There is a side door that leads to a nice size deck with retractable awning. Off the kitchen is your 1st floor laundry and separate side entrance with private mudroom. Upstairs you will find 3 bdrms and large landing area. The grounds consist of nearly 20 acres of tillable land, some wooded land and a lg yard for the house. Natural woodwork throughout. CALL TODAY!